Barbara Taylor Bradford OBE is quite rightly known as the First Lady of Fiction as one of the best-selling authors of all time, with fans both here in the UK and across the globe devouring every word she writes. Those same fans are sure to be counting down the days to the new release of her 30th book, The Cavendon Women, which hits the shelves on Thursday 26th March. So how does the glamorous author manage to enthral her fans with every word she writes and what can we expect from her new release – which is her 30th blockbuster book? To find out, watch the interview with Barbara Taylor Bradford. First of all I would like to take a moment to thank Aven for providing me with a copy of Surviving The Rachel to review. This was a book I was very excited to receive. Surviving The Rachel follows Bree, whom after a disastrous summer, finds herself back living at home, without the dream job she had hoped for and a haircut from the 1990’s. But then a chance meeting with the boy next door, Jack leads to some unexpected changes in her life; proving that all things happen for a reason. Throw in to the mix Jack’s brother, and Bree and Jack’s Ex’s and you know things aren’t going to be plain sailing. I am a massive fan of Aven and her writing, an Aven book is always quick and easy to read and never disappoints. Plus the covers are always stunning. As I have come to expect from Aven, Surviving The Rachel is full of ups and downs which keep the plot interesting and exciting, I am never quite sure where things are headed, but I know I am always guaranteed a giggle. But what is always the winner for me is that it is pure chick lit. And that is something I LOVE! I love the way Aven weaves her tale, always providing us with loveable characters to fall in love with and that deep hope that everything will all work out in the end. Surviving The Rachel has all of these elements, including the quirky laugh out loud moments which I really hope are based on real life experiences. Aven is an absolute master at making even the most mundane mishap hilarious. I could not help but fall in love with Bree and Jack, I loved their chemistry and how their friendship developed, there were so many moments where I found myself going “awww”. I also loved the use of german language throughout, it just added that little extra element which just seemed to make it all even more perfect. I adore chick lit and an Aven novel epitomises everything a good chick lit book should be. This is definitely a book to include on your wish list, it is catchy and compelling, and is a gorgeous heart warming book. My only criticism is that I need more Jack and Bree. First of all I would like to thank the publishers for sending me a copy in exchange for an honest review. It was brilliant to be a part of #TeamBea. I’ll Take New York follows Bea, a Brooklyn bookstore owner and Jake, a psychiatrist. Both are recently singled, Bea after being let down once to many times by her boyfriend Otis, and Jake when his wife announces she wants a divorce. Their lives cross paths at a mutual friends party where as the only two singletons, decide to make a pact to remain free of relationships and enjoy life. Well what can I say? I absolutely adored this book, it was a truly heartwarming and magical read. I was drawn in to both Bea and Jake’s world from the first word and couldn’t get enough of their lives and relationships. I was compelled to keep reading to find out what would happen to what was fast becoming two of my favourite book characters of 2014. With plenty of plot twists and turns to keep me guessing, this book had me hooked and I just could not predict where the story would take me next. Miranda wove magic with this book, I can hand on heart say there is not a single part of this book that I didn’t love. I loved how Bea and Jake met through a truly chance encounter, fated to meet by the interlinking relationships of their nearest and dearest. It was like a modern day Romeo and Juliet, fated to meet and so obviously perfect for each other but life has other ideas. I was desperately hoping through out for that perfect ending. This book has truly won me over as a fan of Miranda Dickinson, she writes with ease, the words flowing flawlessly from page to page. I loved how the story developed and how I was able to see both Jake and Bea’s take on events and their budding friendship. 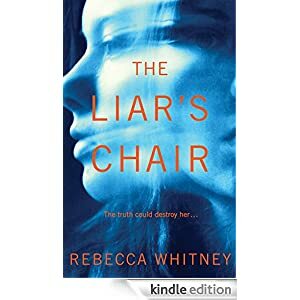 This book flowed beautifully between the characters and events of their lives, keeping me hooked and often sat up late reading as I was desperate for more of my favourite characters. This of course has one set back, I finished this book far too soon. I really hope there is more to come soon from Bea and James. The author of the Sunday Times bestselling Take a Look at Me Now, returns to New York with her most heart-warming, romantic story yet. One With you (Crossfire 5) – Sylvia Day – Not sure if this will be out in 2015 but here’s hoping that it is!